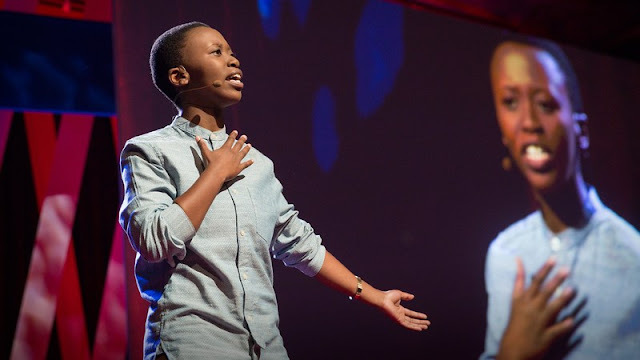 19-year-old Cape Town slam poet Lerato Mokobe is one of 21 individuals from across the globe who make up the new class of Fellows for the forthcoming TED2015 to be held March 16-20 in Vancouver. Joined in the Fellowship by other “experts” in a range of fields, Lerato, currently based in New York City, uses her slam poetry as a means of exploring social justice and gender identity issues. For Lerato, being a TED Fellow means the opportunity “to speak to 2000-odd CEOs from big industries – from technology, entertainment and design,” she tells us. If they’re interested in her projects, she may even receive sponsorships. Lerato has already performed her poetry on stages in Paris, Chicago, Los Angeles, New York, and Philadelphia, with the likes of poet/rapper George Watsky, Chance The Rapper and legendary beatboxer Rahzel. “These are just some of the people I’ve performed with on stage, not just open for them,” she says.  In 2011, Lerato learned about Brave New Voices, an American poetry slam that began in 1998, after watching a documentary on the competition on Africa Magic. At that point, the competition had yet to feature any African competitors. In 2012, Lerato put together the first team from Africa to compete in the Brave New Voices slam competition, held that year in San Francisco. Calling themselves Vocal Revolutionaries (which is also the name of Lerato’s literary organization), the team consisted of Sechaba Nkitseng, Siyabonga Njica,Neo Mokgopa and, of course, Lerato. Due to passport issues though, only three team members were able to travel to San Fransisco, thus disqualifying them from the four-person competition (though they weren’t allowed to “compete,” they were still able to perform). In 2013 Lerato’s South African team made it to the final stage of the competition in Chicago. “Only the best of the best slam there,” she adds. That year Vocal Revolutionaries, the first team from the continent to compete, came second out of the 55 teams in the world that were shortlisted. In running Vocal Revolutionaries, Lerato says funding has always been one of the biggest challenges. “The only way which we fundraised was to convince people – usually white people because they have the money, right – that our art is of substance and is worth being on a huge stage where 6000 people at a time can listen to us,” she says. Above all, Lerato says she’s grateful for the help of her mother, the team’s biggest benefactor in 2014. “She broke her back just to see us making it onto that stage.” Every year, Lerato still needs to make sure funds are raised for her team to travel to the US for the slam competition. Speaking on the upcoming conference, Lerato tells us she’s nervous and intimidated by the other fellows. “You don’t just apply for a TED Fellowship because you’re taking a chance, which I, however did,” she says. In 2015, Lerato looks to publish a poetry anthology and a novel. Though she’s not just a poet– she’s also written several plays, and has seven short films due for release in 2015. Those were shot in collaboration with media company SoulPancake (of “Kid President” fame) at The YouTube Space, where Avatar was shot. For more, listen to Lerato Mokobe perform a poem about xenophobia on Cape Town-based hip-hop show, ‘Headwarmaz,’ on Bush Radio. Follow Lerato on Twitter here.